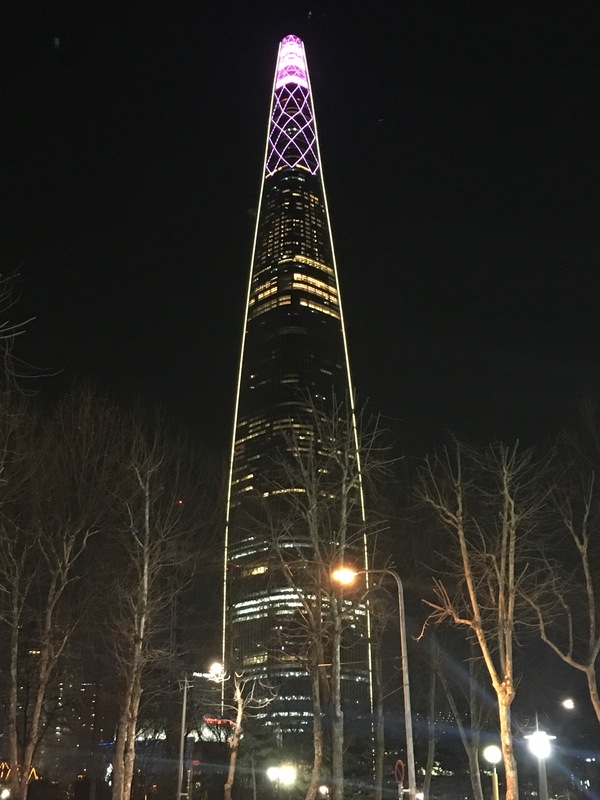 SEOUL—Hansam System, Co., Ltd recently installed a comprehensive Martin by HARMAN lighting solution in Lotte World Tower, South Korea’s tallest skyscraper and the fifth tallest building in the world. Featuring 123 floors, Lotte World Tower is home to a wide range of facilities and public spaces, including business offices, private residences, a luxury hotel, a mega mall, a cinema, an aquarium, a concert hall and a large observation deck. The building owners hired Hansam System, Co. and lighting consultants EOS SLD and Nikennomura to design an ambitious lighting solution that would visually enhance the architecture of the building’s roof, observatory ticketing area and grand ballroom. After careful consideration Hansam System, Co. selected a full array of industry-leading Martin fixtures for their creative versatility, rich color palette and proven reliability under adverse weather conditions. 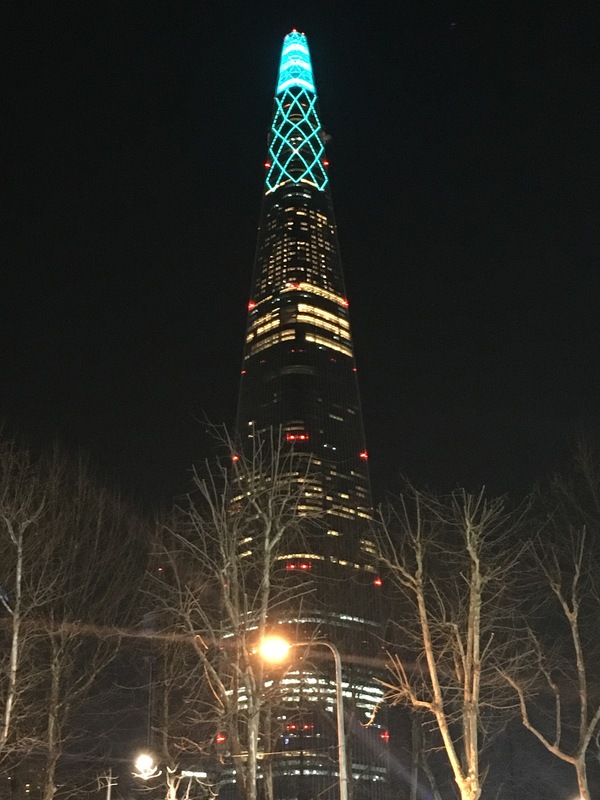 In order to increase the building’s visibility, Hansam System deployed Martin Exterior Wash 210 fixtures on Lotte World Tower’s lantern-shaped roof, which can now be seen from miles away. Designed to illuminate large structures, building facades and bridges, the Exterior Wash 210 offers superior color mixing and is IP-rated for permanent outdoor use. Expected to draw around 3 million visitors annually, the Seoul Sky Observatory at the top of Lotte World Tower offers breathtaking views of Seoul and its surrounding area. 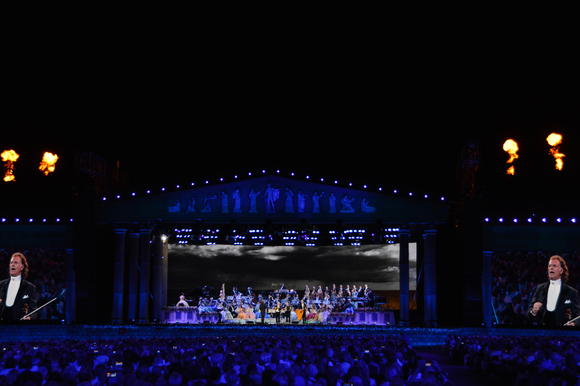 To create an exciting atmosphere while visitors wait in line for a ticket, Hansam System installed Martin VC-Dot 1 LED string lights in the ceilings, which are controlled by a Martin P3-050 system controller. The Signiel Seoul Hotel occupies the 76th to 101st floors of the tower, and features a 5,920-square-foot grand ballroom that can accommodate up to 300 seated guests. 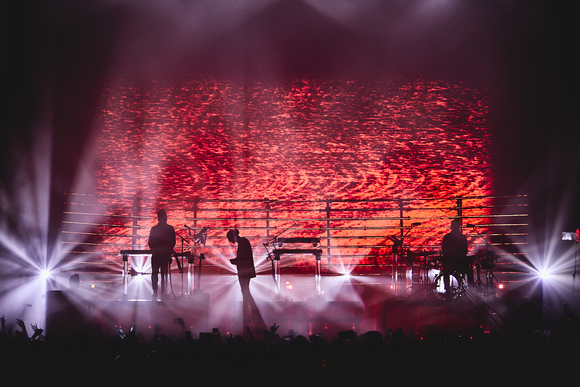 In order to provide unique and intimate environments at a wide range of events, the ballroom is outfitted with a range of Martin fixtures, including MAC Viper Profile, MAC Viper Wash, RUSH PAR2 RGBW Zoom and RUSH PAR2 CT Zoom.